Even worse, many people take out life insurance without ever discussing their situation with an independent adviser. Often, the subject is first raised at the time of mortgage planning, and a policy is taken out on the spot with a bank or mortgage broker, without any check as to value for money. A few minutes spent discussing your needs with an independent adviser – one who can advise on appropriate products and access the entire marketplace on your behalf, could save you £,000’s over the years! Don’t pay too much, and don’t carry more insurance than you need! 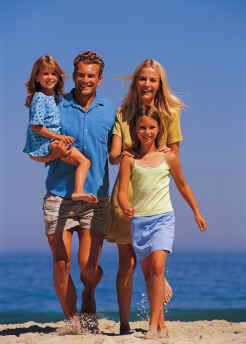 We will happily meet you and discuss life and health insurances with you. We will go through your needs and make sensible recommendations based on the sums you require for life and / or health cover, and your budget. If you wish, you can telephone us for an initial chat about your needs and some quotes. Please call 0345 013 6525.